NBC Olympics Selects SES ... Goes for the Gold by Transmitting High Dynamic Range Signal Across the U.S. It takes a huge effort to transmit the Olympics, and here NBC Olympics has enlisted the expertise of SES to transmit the games. 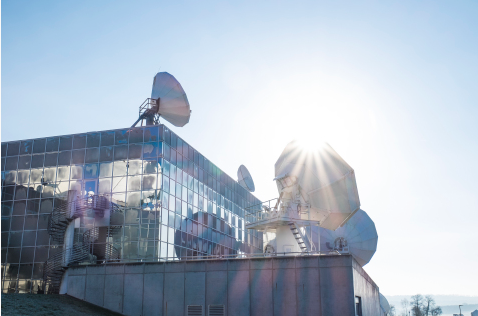 NBC Olympics, a division of the NBC Sports Group, has selected SES to provide 4K High Dynamic Range (HDR) satellite distribution for its production of the XXIII Olympic Winter Games, which take place in PyeongChang, South Korea, from February 8 - February 25. The announcement was made today by David Mazza CTO & SVP, NBC Olympics, and Steve Corda, Vice President, North America Media Platform, SES. SES will use its satellite platform to distribute the NBC Olympics HDR feed to their affiliates throughout the United States, utilizing the SES-1 satellite located at 101 degrees West. As part of the implementation, SES has provided preconfigured satellite receivers to the affiliates that will be receiving the HDR feed. SES’ 4K platform provides multichannel video program distributors (MVPDs) in the United States access to the world’s largest bouquet of linear 4K programming. David Mazza CTO & SVP, NBC Olympics said that NBC Olympics is pleased to work with SES to offer 4K HDR coverage of the PyeongChang Games to their valued distribution partners. The HDR feed distributed by SES, and presented by Xfinity, will complement their HDR Video On Demand offering available to MVPDs and satellite providers across the United States. Steve Corda, Vice President, North America Media Platform, SES said they are pleased that NBC has entrusted SES again, similar to the 2016 Summer Olympics, to help deliver the 4K programming for these Olympic Winter Games. Their 4K platform provides MVPDs throughout the Americas access to the world’s largest selection of linear 4K programming.